Bring your dream backyard alive with tables from the outdoor furniture range at Outdoor Furniture Online! Your outdoor area is where you can relax and enjoy the open air after a long week and likewise where you’ll get together with family and friends throughout the year. 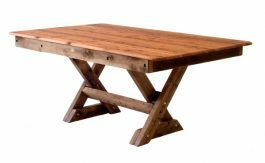 The Texas Cypress Outdoor Timber Table hand crafted in Cypress has a classic smooth finish along its 2950mm length. With a very solid construction this table will last you for many years to come. The chunky cross legs offer a solid platform for the table top and allow plenty of room for diners. Texas High Back Cypress Outdoor Timber Setting. Both include this Texas Cypress Outdoor Timber Table which, we believe, offers the perfect combination. This Texas XL Kwila Outdoor Timber Table is a customised version of our standard Texas size table by way of an extra metre in length. There’s loads of dining area with a MASSIVE table top L: 4000mm and W: 1200mm. 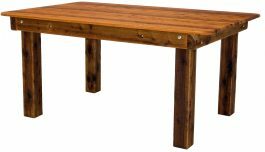 The Yamba Cypress Outdoor Timber Table is a simple and rustic design which will fit perfectly in country gardens. The large rectangular table will provide space for all of your family and friends at your next outdoor dining occasion. If you’re looking for a full outdoor setting we recommend you take a look at the Yamba Backless / Slat Back Cypress Outdoor Timber Setting or the Yamba High Back Cypress Outdoor Timber Setting. Both include this Yamba Cypress Outdoor Timber Table which, we believe, offers the perfect combination. Using two timbers, the dark red Kwila on top of the Yamba Beach Kwila Outdoor Timber Table contrasts beautifully with the paler Cypress wood frame. A durable hardwood, Kwila (also known as Merbau) is extremely popular across Australia for use outdoors. 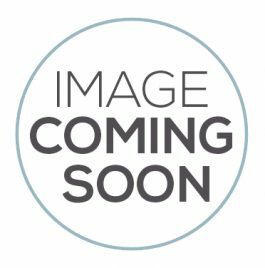 If you’re looking for a full outdoor setting we recommend the Yamba High Back Kwila Outdoor Timber Setting or consider a Yamba Backless Kwila Outdoor Timber Setting. Both settings include the Yamba Kwila Outdoor Timber Table which, we believe, offers the perfect combination. Enjoy dining al fresco with friends around this sociable Tasman Cypress Outdoor Timber Table, and make the very most of your garden. Tasman High Back Cypress Outdoor Timber Setting. Both include this Tasman Cypress Outdoor Timber Table which, we believe, offers the perfect combination. 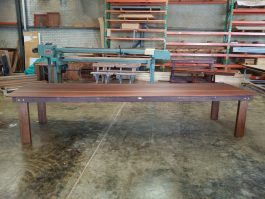 The Currumbin Cypress Outdoor Timber Table has unique looks and is designed for a long life. Offering seating space for ten people, a Currumbin Cypress Outdoor Timber Table is spacious enough to accommodate your family and friends. If you’re looking for a full outdoor setting we recommend you take a look at the Currumbin Slat Back / Backless Cypress Outdoor Timber Setting, or the Currumbin High Back Cypress Outdoor Timber Setting. Both include this Currumbin Cypress Outdoor Timber Table which, we believe, offers the perfect combination. The Currumbin Kwila Outdoor Timber Table Table is 1800mm in length and 1100mm in width has warmth of deep red Kwila timber on top and contrast of a lighter coloured Cypress timber for the frame & legs. If you’re looking for a full outdoor setting we recommend the Currumbin High Back Kwila Outdoor Timber Setting or consider a Currumbin Backless Kwila Outdoor Timber Setting. Both settings include the Currumbin Kwila Outdoor Timber Table which, we believe, offers the perfect combination. If you’re looking for a full outdoor setting we recommend you take a look at the Palm Beach Slat Back / Backless Cypress Outdoor Timber Setting, or the Palm Beach High Back Cypress Outdoor Timber Setting. Both include this Palm Beach Cypress Outdoor Timber Table – cross leg which, we believe, offers the perfect combination. The Palm Beach Cypress Outdoor Timber Table square legs offers a sturdy table that can be utilised for a multitude of purposes. The square legs defines it more for indoors. In the past we’ve sold it for use not only as a dining table, but as a desk and to a retail shop for displaying merchandise. If you’re looking for a full outdoor setting we recommend you take a look at the Palm Beach Slat Back / Backless Cypress Outdoor Timber Setting. The set includes the Palm Beach Cypress Outdoor Timber Table square legs which, we believe, offers the perfect combination.